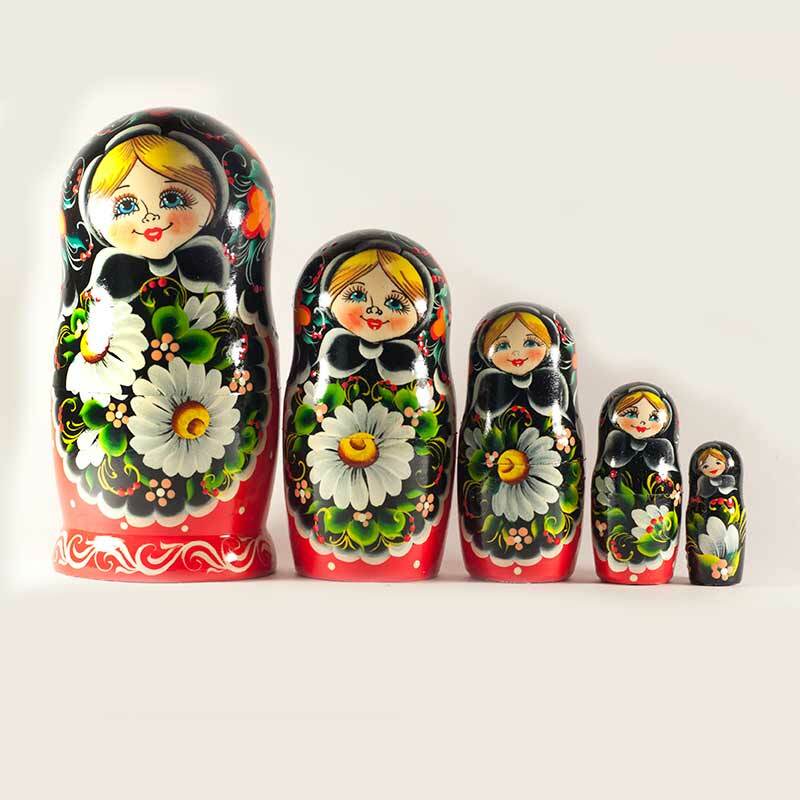 Nesting Doll White Deasies is a 5 pieces set of Russian dolls. 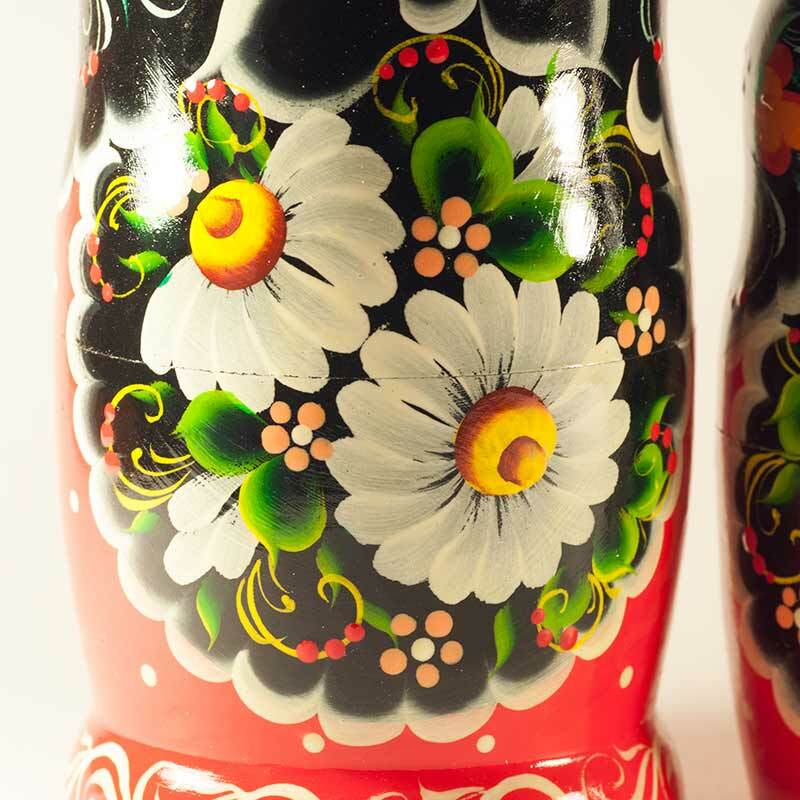 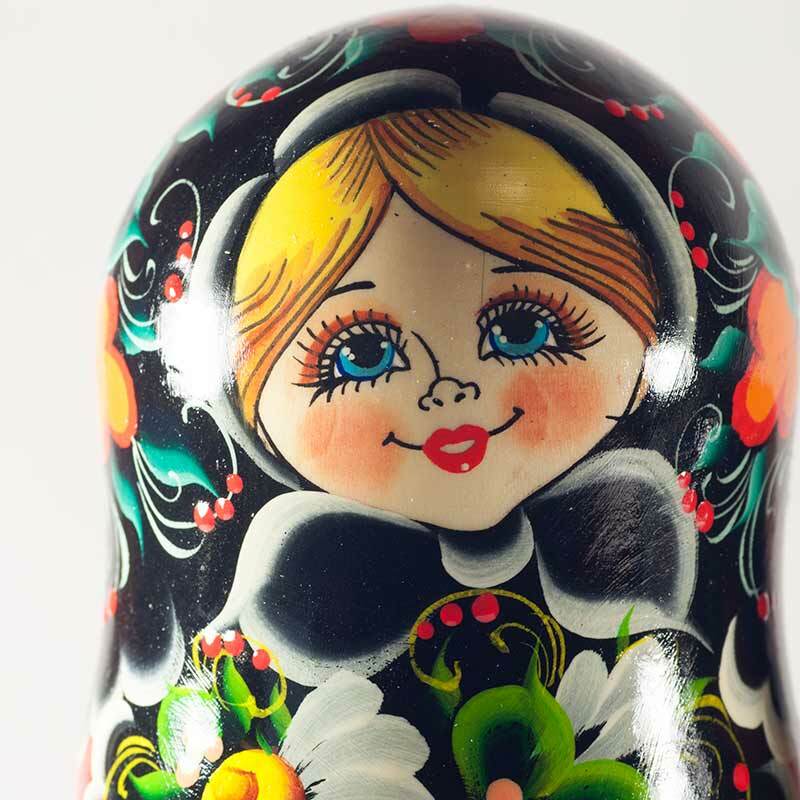 The matryoshka is painted in Sergiev Posad floral style with large colorful golden-daisies. 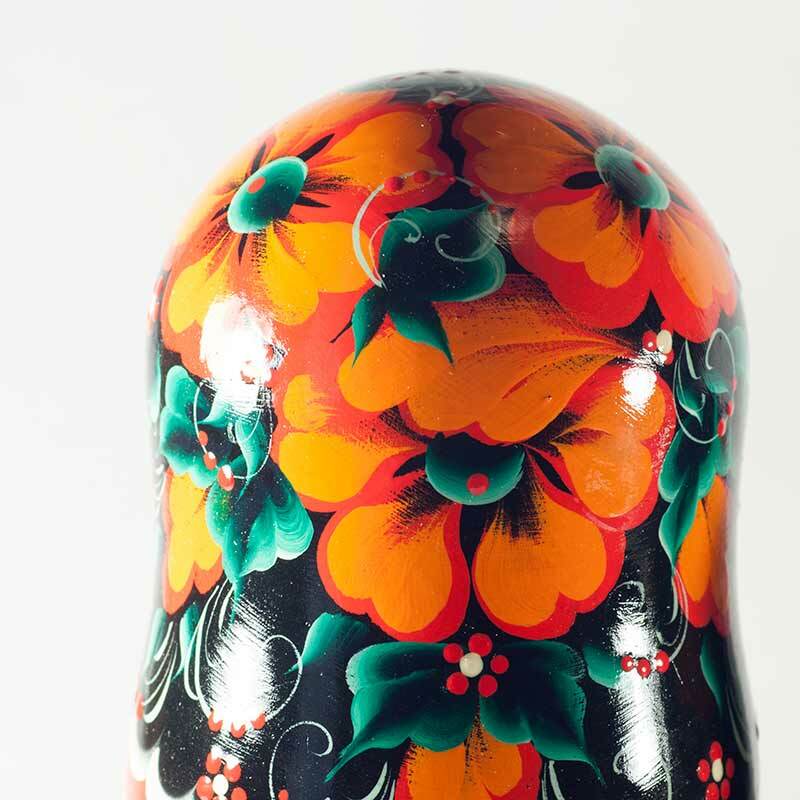 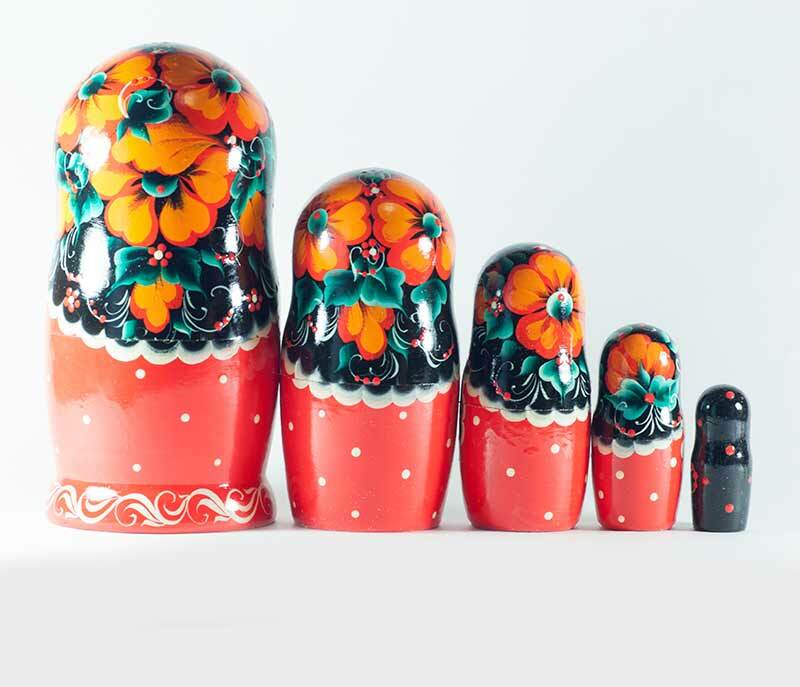 The nesting doll looks very joyful and festive.